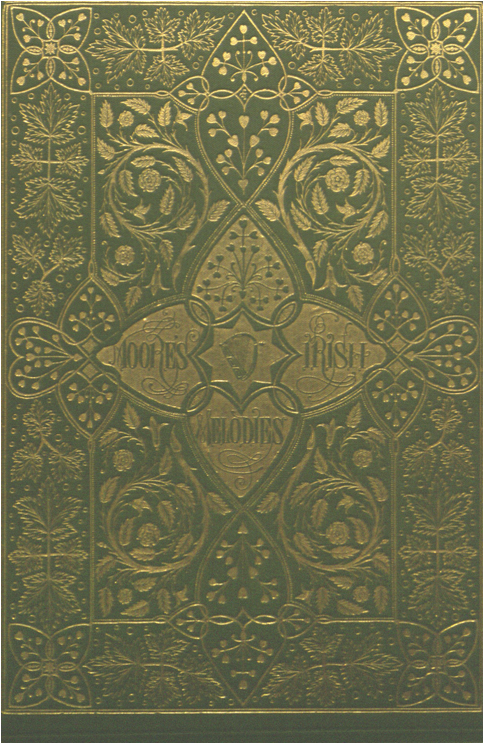 The Irish Fiction Collection is a very large collection of novels by Irish authors, set in Ireland, or with a significant Irish connection. 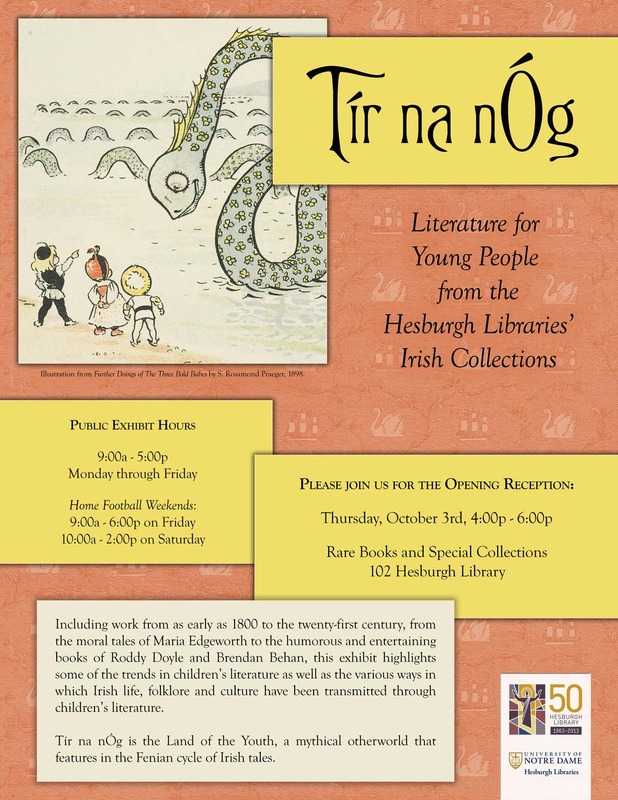 It has its nucleus in the Loeber Collection of Irish Fiction, and it includes over 4,000 volumes. 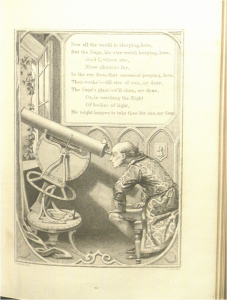 Books from the collection are available for reading in the Rare Books and Special Collections Reading Room. 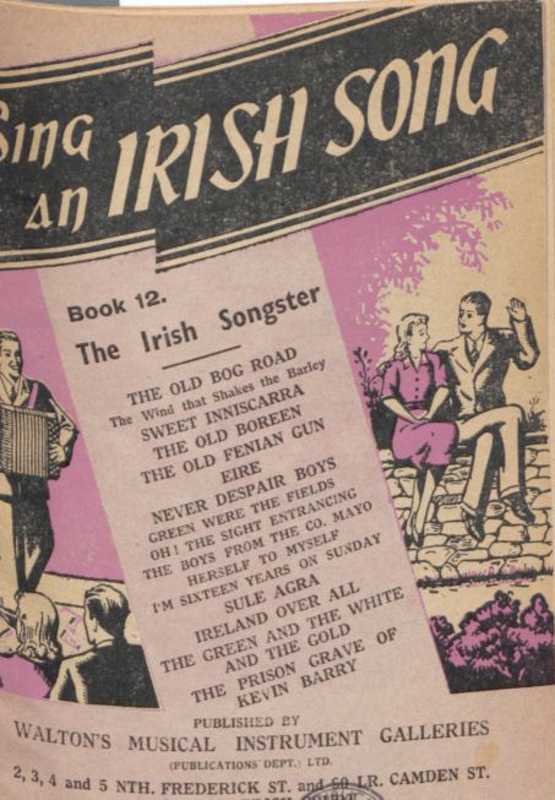 Novels set during the Northern Ireland Conflict form a sub-collection. In building this collection, we acknowledge the work of Bill Rolston, whose bibliography, Literature of the ‘Troubles’: Novels was an invaluable reference. The novels are listed below. * denotes novels that may be found in the circulating collections and borrowed. 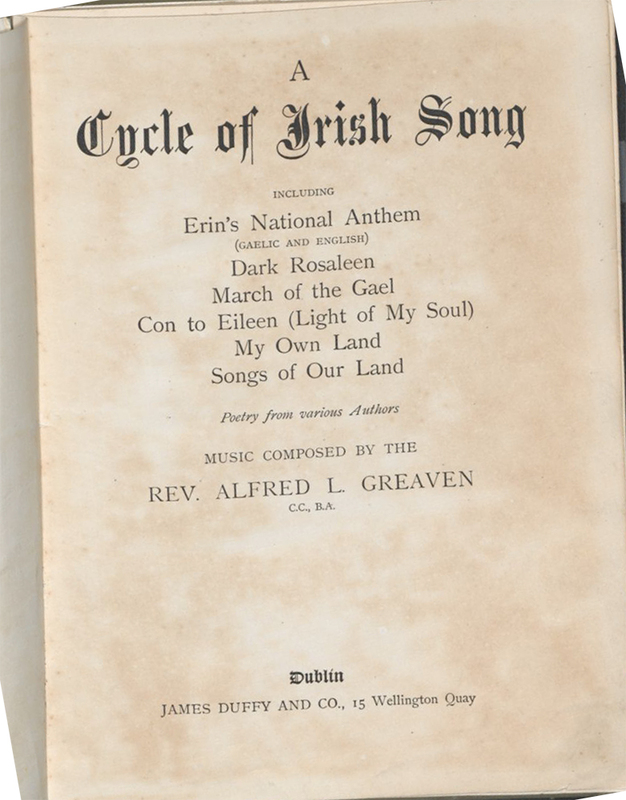 Fiction and the Conflict in Northern Ireland – List of Titles in the Irish Fiction Collection. Aalben, Patrick. The Grab. London: Robert Hale, 1977. Adams, James. Taking the Tunnel. London: Michael Joseph, 1993. Adams, Patrick. Everything can be O.K. Los Angeles: Amber International, 1979. Anderson, Don. Heatshield. London: Pan, 1990. Anderson, Linda. To Stay Alive. London: Bodley Head, 1984. Anderson, Linda. Cuckoo. London: Bodley Head, 1986. *Anthony, Evelyn. A Place to Hide. New York: Putnam, 1987. Armstrong, Campbell. Jig. London: Allison & Busby, 2007. Ashe, Alex. An Acceptable Level of Violence. Gamlingay, Bedfordshire: Authors OnLine, 2008. Atwater, James D. Time Bomb. New York: Viking, 1977. Aylott, Bob. Cry for Tomorrow. London: Everest, 1973. Ball, Brian. Keegan: The No-Option Contract. London: Barker, 1975. Ballinger, W. A. The Green Grassy Slopes. London: Corgi, 1969. Banks, Lynn Reid. Maura’s Angel. New York: Avon, 1998. Barlow, James. Both Your Houses: A Novel. London: Hamilton, 1971. Barton, Harry. Yours Again, Mr. Mooney. Belfast: Blackstaff, 1974. Bateman, Colin. The Day of the Jack Russell. London: Headline, 2010. Beattie, Geoffrey. The Corner Boys. London: Gollancz, 1998. Beckett, Mary. Give Them Stones. New York: Harper &Row, c. 1989. Bennett, Colin. The Entertainment Bomb. London: New Futurist, 1996. Bennett, Ronan. The Second Prison. London: Review, 2000. Binnie, Stewart. Across the Water. London: Secker & Warburgh, 1979. Blain, Sean Martin. The Java Man. London: Michael Joseph, 1995. Blair, Iain. Hooligan’s Rant. London: New English Library, 1979. Blake, Philippa. Looking Out. London: Bodley Head, 1989. Bradby, Tom. Shadow Dancer. New York: Bantam, 1998. Braddon, Russell. The Progress of Private Lilyworth. London: Joseph, 1971. Bradford, Roy. The Last Ditch. Belfast: Blackstaff, c. 1981. Brady, John. A Stone of the Heart. Toronto: Collins, 1989. Brady, John. Kaddish in Dublin. New York: St. Martin’s Press, 1992. Brady, John. Unholy Ground. New York: St. Martin’s Press, 1992. Brewster, David. The Heart’s Grown Brutal. London: Angus & Robertson, 1972. Bringle, Mary. The Man in the Moss-Colored Trousers. Garden City, NY: Doubleday, 1986. Brown, George. Ringmain. London: Barrie & Jenkins, 1991. Broxon, Mildred Downey. Too Long a Sacrifice. New York: Dell, 1981. Bullen, Fiona. From Pillar to Post. London: Warner, 1998. Bunting, Eve. Walking to School. New York: Clarion, 2008. Burns, Anna. No Bones. New York: Norton, 2002. Burns, Richard. Why Diamond Had to Die. London: Bloomsbury, 1989. Byrne, Robert. The Tunnel. New York: Harcourt Brace, c. 1977. Caldwell, Lucy. All the Beggars Riding. London: Faber, 2013. Cannon, Elliott. Stand By to Shoot. London: Hale, 1973. Carter, Peter. Under Goliath. Oxford: OUP, 1977. Case, James. Belfast Blitz. New York: Warner, c. 1987. Casey, Kevin. Dreams of Revenge. London: Faber, 1977. Cawley, Robert. Shockwave. London: Sphere, 1979. Cazenave, Michel. Les Fusils de l’IRA. Paris: L’Herne, c. 1977. Chaplin, Michael. Act of Betrayal. London: Corgi, 1988. Chapman, John. City War. London: Hale, 1979. Charles, Robert. The Hour of the Wolf. London: R. Hale, 1974. Chipperfield, Joseph E. The Watcher on the Hills. London: Heinemann, 1968. Clancy, Ambrose. Blind Pilot. New York: W. Morrow, 1980. Clancy, Tom. Patriot Games. New York: Berkley, c. 1987. Clarke, Shaun. Red Hand. London: Coronet, 1998. Clarke, Shaun. Soldier E: SAS: Sniper Fire in Belfast. Maidstone: 22 Books, 1993. Cleary, Jon. Peter’s Pence. New York: Morrow, c. 1974. Clifford, Francis. Drummer in the Dark. New York: Harcourt, Brace, c. 1976. Connolly, Colm. The Pact. London: Andre Deutsch, 1980. Coogan, Patrick. The General. London: Sinclair-Stevenson, 1993. Costello, Mary. Titanic Town. London: Methuen, 1992. Countryman, Albert J. The Streets of Derry. Palmyra, NJ: Countryman Pub., c. 1986. Courts, Johnson. Collusion. London: Minerva, 1996. Cowell, John. The Begrudgers. Dublin: O’Brien, 1978. Crawford, Richard. Fall When Hit. London: Mandarin, 1993. Cregan, Conor. With Extreme Prejudice. San Jose, CA: ToExcel, c. 2000. Cunningham, Peter. Who Trespass Against Us. London: Century, 1993. Daniel, James. Out of the Strong. London: Pan, 1995. Davies, Murray. The Drumbeat of Jimmie Sands. London: HarperCollins, 1999. De Mille, Nelson. Cathedral. New York: Delacorte, 1981. Desser, Julian. Soap Star Kidnapped: A Newspaper Novel. Southport: Tabloid Books, 1992.
de St. Jorre, John. The Patriot Game. London: Coronet, 1974. De Villiers, Gerard. S.A.S. furie à Belfast. Paris: Plon, 1974. Dickinson, Peter. The Green Gene. London: Hodder & Stoughton, c. 1973. Dillon, Martin. The Serpent’s Tail. London: R. Cohen, 1995. Donnelly, Joe. The Shee. London: Century, 1992. Douglas, James. The Clearing. Melbourne, Australia: Perfect Publ., 1994. Dowd, Siobhán. Bog Child. Oxford: David Fickling, 2008. Dowling, Kevin. Interface Ireland. London: Barrie & Jenkins, 1979. Driscoll, Peter. In Connection with Kilshaw. Philadelphia, PA.: Lippincott, 1974. Drummond, June. Bang! Bang! You’re Dead. London: Gollancz, c. 1973. Duffaud, Briege. A Wreath Upon the Dead. Dublin: Poolbeg, 1994. Dunne, Lee. Ringmaster. Dublin: Wolfhound, 1986. Egleton, Clive. The Mills Bomb. London: Hodder and Stoughton, 1978. Eickhoff, Randy Lee. The Gombeen Man. New York: Walker, 1992. Esler, Gavin. Loyalties. London: Headline, 1990. Finlay, Fergus. A Cruel Trade. London: A. Deutsch, 1990. Gallie, Menna. You’re Welcome to Ulster! London: Gollanz, 1970. Garfield, Brian. The Paladin. New York: Simon and Schuster, c. 1979.Gibbons, Alan. The Defender. London: Orion, 2004. Gibson, Elizabeth. The Water is Wide. Grand Rapids, MI: Zondervan, c. 1984. Gibson, Tom. A Wild Hope. London: Hale, 1983. Gill, B. M. Target Westminster. Halifax, UK: Remploy, c. 1977. Gill, Bartholomew. McGarr and the Politician’s Wife. New York: Scribner, c. 1977. Gill, Bartholomew. McGarr and the P.M. of Belgrave Square. New York: Viking Press, 1983. Gill, Bartholomew. McGarr at the Dublin Horse Show. New York: Scribner, c. 1979. Gross, Ken. Hell Bent. New York: T. Doheny, 1992. Hale, John. Lovers and Heretics. London: Gollanz, 1976. Hamill, Pete. The Guns of Heaven. London: Titan, 2011. Hanley, Clifford. Prissy. London: Collins, 1978. Harcourt, Palma. A Sleep of Spies. London: Collins, 1979. Harris, Peter. A Solitary Terrorist. Lewes, Sussex: Book Guild, 1987. Hawke, Christopher. For Campaign Service. London: Corgi, 1979. Hayward, David. The Provo Link. London: Hale, 1979. Healy, Dermot. Fighting with Shadows. Champaign, IL: Dalkey Archive Press, 2015. Healy, Dermot. 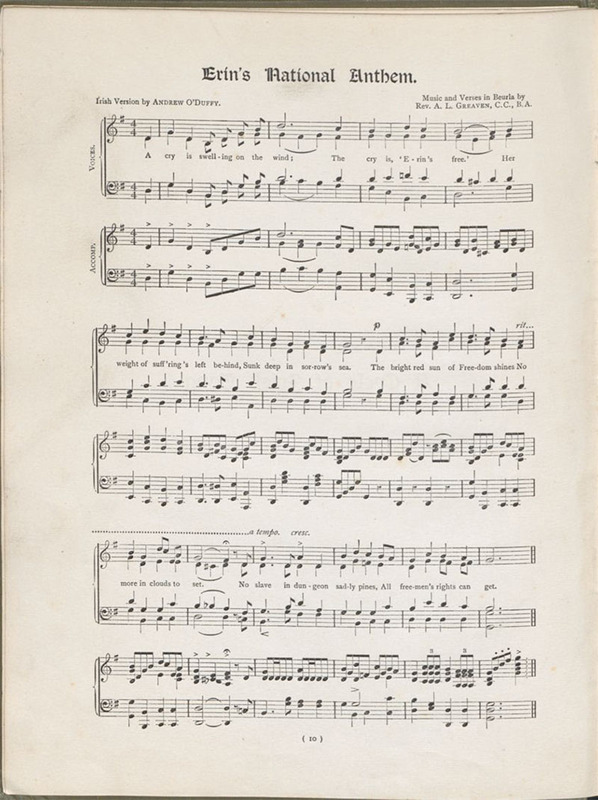 A Goat’s Song. New York: Viking, 1995. Hegarty, David. Short Storm. Cork: Emperor, 1991. Herron, Shaun. The Hound and the Fox and the Harper. New York: Berkley, 1971. Herron, Shaun. Through the Dark and Hairy Wood. London: Cape, 1973. Herron, Shaun. The Whore Mother. London: Cape, 1973. Higgins, Jack. The Savage Day. Greenwich, CT.: Fawcett, 1974. Higgins, Jack. The Violent Enemy. London: Harper, 2008. Higgins, Jack. Drink With the Devil. London: Michael Joseph, c. 1996. Higgins, Jack. Angel of Death. New York: Putnam’s, c. 1995. Hill Niki. Death Grows on You. London: M. Joseph, 1993. Hilliar, Michael. Come Dance with Me. Belfast: Blackstaff, 1977. Higgins, George V. The Patriot Game. New York: Knopf, 1982. Hogan, Desmond. A Curious Street. New York: G. Brazilliar, 1984. Hogan, Desmond. A New Shirt. London: Hamish Hamilton, 1986. Holland, Jack. The Prisoner’s Wife. New York: Dodd, Mead, c. 1981. Holland, Jack. Walking Corpses. Dublin: Torc, 1994. Holloway, Rupert. The Terrorist Conspiracy. Lewes: Book Guild, 1982. Howlett, John. Orange. London: Hutchinson, 1985. Hurd, Douglas. Vote to Kill. London: Collins, 1975. Hurley, Graham. Reaper. London: Macmillan, 1991. Hutson, Shaun. Knife Edge. London: Little Brown, 1997. Hutson, Shaun. White Ghost. London: Little Brown, 1994. Hynes, James. The Wild Colonial Boy. New York: Athaneum, 1990. Ingoldby, Grace. Across the Water. London: Michael Joseph, 1985. Jacks, Oliver. Assassination Day. London: Hodder and Stoughton, 1976. Jacobsen, Keith. Place of a Skull. London: Thames River Press, 2013. James, Evelyn. Taking the Forbidden Road. Holywood, Northern Ireland: Third House, 1991. Johnston, Jennifer. Shadows on Our Skin. London: Hamish Hamilton, 1977. Johnston, Jennifer. The Railway Station Man. London: Hamish Hamilton, 1984. Jones, R. W. The Green Reapers. London: Michael Joseph, 1988. Joyce, Joe. Off the Record. London: Heinemann, 1989. Joyce, Joe. The Trigger Man. New York: Norton, 1991. Judd, Alan. A Breed of Heroes. New York: coward, McCann & Geoghegan, 1981. 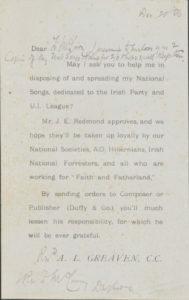 Kavanagh, P. J. Only By Mistake. New York: Riverrun Press, 1986. Kelly, James. The Marrow From the Bone. Bailieboro, Co. Cavan: Kelly Kane, 1987. Kennedy, James. Armed and Dangerous. London: Mandarin, 1996. Kiely, Benedict. Nothing Happens in Carmincross. Boston: Godine, 1985. Kilcommon, Denis. Serpent’s Tooth. New York: Bantam, 1989. Kippax, Frank. Other People’s Blood. London: HarperCollins, 1992. Lane, Andrew. Forgive the Executioner. London: New English Library, 1978. Lauder, Peter. Noble Lord. London: Fontana, 1986. Laurence, Jyl. Un Coeur en Irlande. Paris: Flammarion, 1996. Leitch, Maurice. Chinese Whispers. London: Hutchinson, 1987. Le Meur, Dominique. Où vas-tu Irlande?. Spézet: Coop Breizh, 1998. Leather, Stephen. The Chinaman. London: Hodder & Stoughton, 1992. Leitch, Maurice. Poor Lazarus. Belfast: Blackstaff, 1985. Leitch, Maurice. Silver’s City. Londin: Minerva, 1995. Leland, Mary. Approaching Priests. London: Sinclair-Stevenson, 1991. Lingard, Joan. Across the Barricades. London: Hamilton, 1972. Lingard, Joan. The Lord on Our Side. London: Hodder & Stoughton, 1970. Lingard, Joan. The Guilty Party. London: Hamish Hamilton, 1987. Lingard, Joan. Hostages to Fortune. London: Puffin, 1995. Lingard, Joan. A Proper Place. Nashville: T. Nelson, 1975. Lingard, Joan. Into Exile. Nashville: T. Nelson, 1973. Lingard, Joan. The Twelfth Day of July. London: Puffin, 1996. MacAnthony, Joseph. The Setanta Operation. London: Grafton, 1991. MacDowell, Vincent. An Ulster Idyll. Dublin: Annamount, 1989. Madden, Deirdre. Hidden Symptoms. Boston: Atlantic Monthly Press, 1986. Madden, Deirdre. One By One in the Darkness. Boston: Faber, 1996. Martin, David. The Task. London: Secker &Warburg, 1975. May, Naomi. Troubles. London: Calder, 1976. McBratney, Sam. Mark Time. London: Abelard-Schuman, 1976. McCartan, Dominic. Operation Emerald. New York: Dembner, 1985. McCarthy, Thomas. Without Power. Dublin: Poolbeg, 1991. McCaughren, Tom. Rainbows of the Moon. Dublin: Anvil, 1989. McCrum, Robert. The Psychological Moment. London: Secker & Warburg, 1993. McEldowney, Eugene. A Kind of Homecoming. New York: St. Martin’s, 1994. McGeough, Gerry. Defenders. 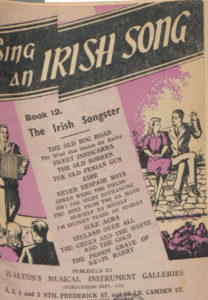 Monaghan: Seesyu Press, 1998. McKeon, James. Operation Pontiff. Cork: Acorn, 1994. McKinty, Adrian. The Cold, Cold Ground. London: Serpent’s Tail, 2012. McLoughlin, Jane. Coincidence. London: Virago, 1992. McMahon, Blair. Nights in Armour. Lurgan: Ulster Society Publications, 1993. McNamara, Michael. The Dancing Floor. New York: Crown, 1978. McNamee, Eoin. Last of Deeds. New York: Picador, 1996. McVeigh, Paul. The Good Son. Cromer, Norfolk: Salt, 2015. Mealy, Colm. Operation Falco. London: Minerva, 1998. Michaels, S. J. Dieback. London: Pan, 1992. Michaels, Sarah. Summary Justice. London: Frederick Muller, 1988. Miles, Monty. Reasonable Maniacs: For the Love of Northern Ireland. San Jose: Writers Club Press, 2000. Miner, Valerie. Blood Sisters. London: The Women’s Press, 1981. Mitchell, Susanna. The Colour of His Hair. London: Allison & Busby, 1994. Molloy, Pat. A Legacy of Demons. Llandysul: Gomer, 1989. Mornin, Daniel. All Our Fault. London: Hutchinson, 1991. Morrow, John. The Essex Factor. Belfast: Blackstaff, 1982. Nelson, Walter. The Minstrel Code. London: Secker & Warburg, 1979. Neville, Stuart. The Final Silence. New York: Soho, 2014. Neville, Stuart. The Ghosts of Belfast. New York: Soho, 2009. Newman, G. F. The Testing Ground. London: Sphere, 1989. Nicholl, Ned. No More Leprechauns. London: New English Library, 1975. Nolan, Frederick. Designated Assassin. London: Arrow, 1991. North, Michael. 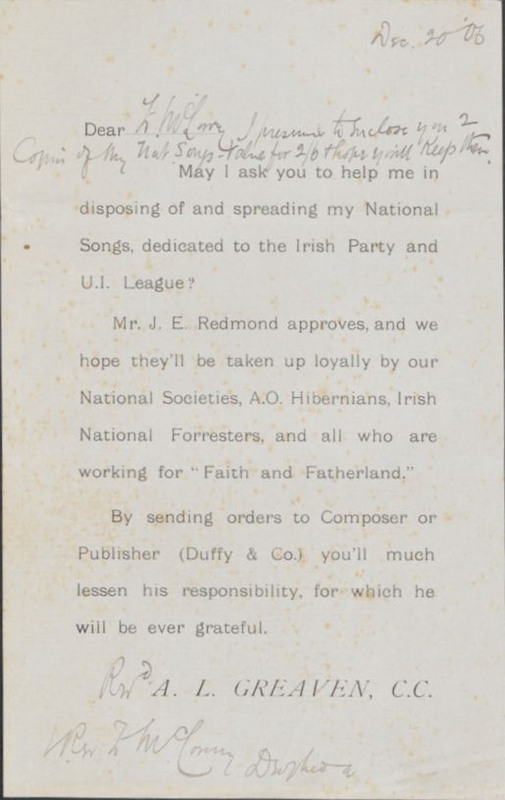 Mission to Ulster. London: Dennis Dobson, 1981. Ó Doibhlin, Breandán. An Branar Gan Cur. Dublin: Sairséal Ó Marcaigh, 1979. 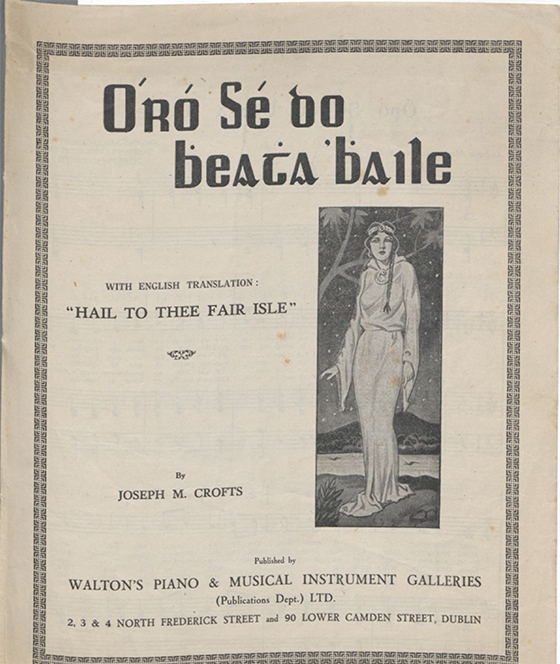 Ó Siadhail, Pádraig. 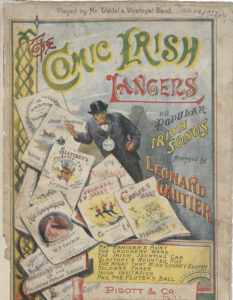 Éagnairc. Indreabhán: CIC, 1994. O’Brien, Edna. House of Splendid Isolation. New York: Farrar Straus, 1994. O’Connor, Brian. The One-Shot War. New York: Times Books, 1980. O’Doherty, Malachi. Belfast Story. Whitley Bay: Erdesdun Pomes, 1976. O’Donovan. Uinsin. Rag Shadows. Dublin: Cill Enna, 1980. O’Mahony, T. P. The Lynch Years: A Political Fantasy. Mountrath, Portlaoise: Dolmen, 1986. 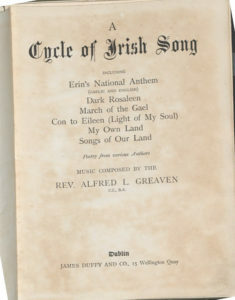 O’Neill, Edward A. The Rotterdam Delivery. New York: Coward, McCann & Geoghegan, 1975. O’Reilly, Victor. Games of the Hangman. Headline, 1992. O’Sullivan, Mark. Silent Stones. Dublin: Wolfhound, 1999. Ould, Chris. A Kind of Sleep. London: A. Deutsch, 1986. Paisley, Rhonda. Lost Fathers. Belfast: Ambassador Productions, 1995. Park, David. The Healing. London: Phoenix, 1993. Park, David. Stone Kingdoms. London: Bloomsbury, 2015. Park, David. The Rye Man. London: Jonathan Cape, 1994. Patrick, Sean. Maureen’s Ireland. Seán Patrick, 1986. Patterson, Glenn. Burning Your Own. London: Minerva, 1993. Patterson, Harry. Cry of the Hunter. London: World Distributors, 1963. Perry, Ritchie. Dead End. London: Collins, 1977. Petit, Chris. The Psalm Killer. New York: Fawcett Gold Medal, 1998. Pincher, Chapman. The Eye of the Tornado. London: Sphere, 1978. Power, M. S. The Killing of Yesterday’s Children. New York: Viking, 1986. Power, M. S. A Darkness in the Eye. London: Heinemann, 1987. Rae, Hugh C. Whip Hand. London: Sphere, 1974. Ransley, Peter. The Price. London: Severn House, 1985. Renwick, Aly. …Last Night Another Soldier. London: Information on Ireland, 1989. Rooney, Seán. Early Many a Morning. Dingle: Brandon, 1994. Rowe, John. Long Live the King. New York: Stein and Day, 1984. Royce, Kenneth. A Wild Justice. London: Hodder & Stoughton, 1992. Ryan, Chris The Watchman. London: Century, 2001. Scott, Hardiman. Operation 10. Sevenoaks: Coronet, 1983. Seaman, Donald. The Committee. New York: Atheneum, 1978. Sefton, Catherine. Along a Lonely Road. London: Hamilton, 1991. Sefton, Catherine. The Beat of the Drum. London: Walker, 2001. Sefton, Catherine. Frankie’s Story. London: Walker, 2000. Seymour, Gerald. The Contract. New York: Holt, Rinehart and Winston, 1981. Seymour, Gerald. The Journeyman Tailor. New York: Edward Burlingame, 1992. Seymour, Gerald. Field of Blood. Glasgow: Fontana/Collins, 1986. Seymour, Gerald. The Glory Boys. New York: Random House, 1976. Seymour, Gerald. Harry’s Game. New York: Random House, 1975. Shannon, James. A Game of Soldiers. London: Sphere, 1985. Shelley, Mike. The Last Private Eye in Belfast. Belfast: Domino, 1984. Sherman, Eileen. The Divided Heart. Leicester: Ulverscroft, 1998. Shriver, Lionel. The Bleeding Heart. New York: Farrar, Straus, 1990. Silva, Daniel. The Marching Season. London: Orion, 2001. Smith, Murray. A Gun for Delilah. London: Robert Hale, 1979. Spain, Peter. Blood Scenario. New York: Coward, McCann & Geoghegan, 1980. Stevens, Gordon. Provo. London: HarperCollins, 1993. Strong, Terence. The Tick Tock Man. London: Heinemann, 1994. Stuart, Francis. Memorial. Dublin: Raven Arts, 1984. Stuart, Francis. A Hole in the Head. Nantucket, MA. : Longship Press, 1977. Symons, Julian. The Detling Secret. New York: Viking, 1983. Target, George W. The Patriots. London: Duckworth, 1974. Taylor, Patrick. Now and in the Hour of Our Death. New York: Forge, 2014. Theroux, Paul The Family Arsenal. Boston: Houghton Mifflin, 1976. Thomas, David. Anger’s Violin. Dingle: Mount Eagle, 1998. Thompson, David. Broken English. New York: Henry Holt, 1988. Urch, Marion. Violent Shadows. London: Headline Review, 1996. Valentine, Deborah. Fine Distinctions. New York: Avon, 1991. Van Greenaway, Peter. Suffer! Little Children. London: Gollancz, 1976. Waddell, Martin. The Beat of the Drum. London: Walker, 1989. Waddell, Martin. Come Back When I’m Sober. London: Hodder & Stoughton, 1969. Waddell, Martin. Frankie’s Story. London: Walker Books, 1988. Waddell, Martin. A Little Bit British. London: Tom Stacey, 1970. Walker, Martin. The Infiltrator. New York: Dial, 1978. Wead, R. Douglas. Tonight They’ll Kill a Catholic. Carol Stream, IL: Creation House, 1974. West, Tara. Fodder. Belfast: Blackstaff, 2002. Weston, Simon. Cause of Death. Rochester: 22 Books, 1996. White, Jon Manchip. The Robinson Factor. Frogmore, Hertfordshire: Panther, 1976. White, Steve. The Fighting Irish. New York: Warner, 1982. White, Stuart. The Shamrock Boy. London: Bodley Head, 1990. White, Terence de Vere. The Distance and the Dark. Boston: Gambit, 1973. Wilson, Des. The Demonstration. Belfast: Desmond Wilson, 1982. Wilson, Robert McLiam. Eureka Street. London: Secker & Warburg, 1991. Wilson, Stewart J. The Gobbins. London: Minerva, 1997. Winch. Arden. Blood Money. London: British Broadcasting Corp., 1981. Wood, James. Road to Canossa. London: Hutchinson, 1971. Woods, Una. The Dark Hole Days. Belfast: Blackstaff, 1984. Wright, Glover. Headhunter. London: Macmillan, 1994. 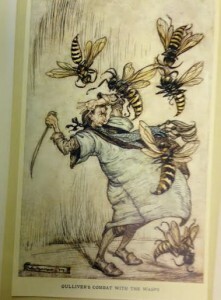 Plate from Gulliver’s Travels illustrated by Arthur Rackham. 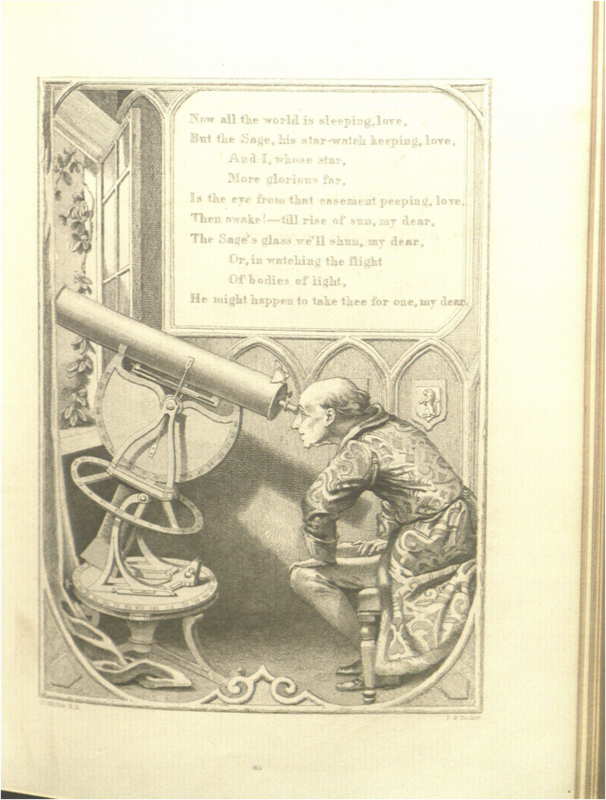 The Hesburgh Special Collections has an excellent collection of Jonathan Swift. The collection was developed from two main sources, the Vienken Collection and the Michael Foot Collection. The collection of Gulliver’s Travels spans a couple of centuries, from the earliest editions printed in 1726 and 1727 to illustrated editions of the twentieth century. 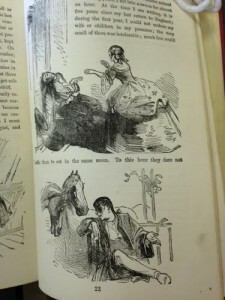 Even the “memoir of the author” is illustrated. Gulliver’s travels into several remote regions of the world: in four parts by Jonathan Swift; illustrated by above 100 designs by Gordon Browne. London : Blackie, 1886. This one is “adapted and edited for youth”. 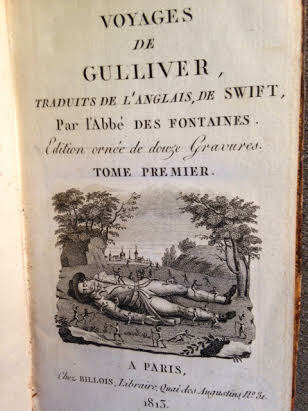 Voyages de Gulliver traduits de l’anglais de Swift par l’abbé Des Fontaine. Paris : Chez Billois, 1813. This translation was first published in France in 1727. 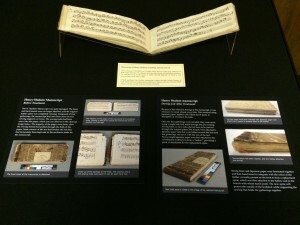 The bibliography of Swift, frequently referred to as “Teerink”, whose numbers are used to identify various editions, is available for use in the Special Collections Reading Room: H. Teerink, A Bibliography of the Writings of Jonathan Swift, second edition, ed. Arthur H. Scouten. Philadelphia: University of Pennsylvania Press, 1963. 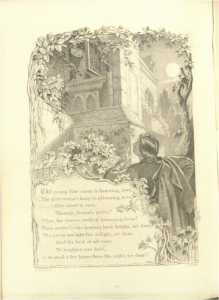 The illustration at the top of this page is one of my favorites. 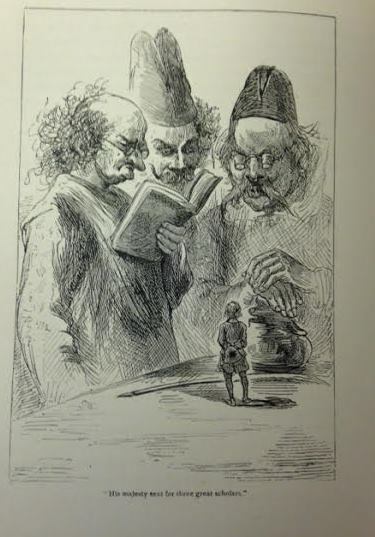 It is from the following 1909 edition: Gulliver’s travels into several remote nations of the world / Jonathan Swift; illustrated by Arthur Rackham. London : J.M. 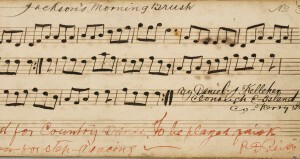 Dent & Co. ; New York : E.P. Dutton & Co., 1909. 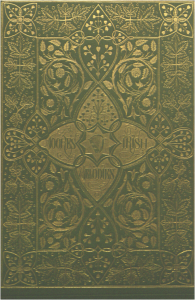 The Hesburgh Library Special Collections recently acquired a very handsome edition of Malton’s Views of Dublin. James Malton. A Picturesque and Descriptive View of the City of Dublin Described. In a series of the most interesting Scenes taken in the year 1791. By James Malton. With a brief authentic history from the earliest accounts to the present time. Engraved titlepage and dedication, Arms of Dublin, a Correct Survey of Dublin as it stood in the year 1610, and twenty-five plates of views. London, 1803. The detail above is of the view of City Hall across the Liffey from the corner of Capel Street. 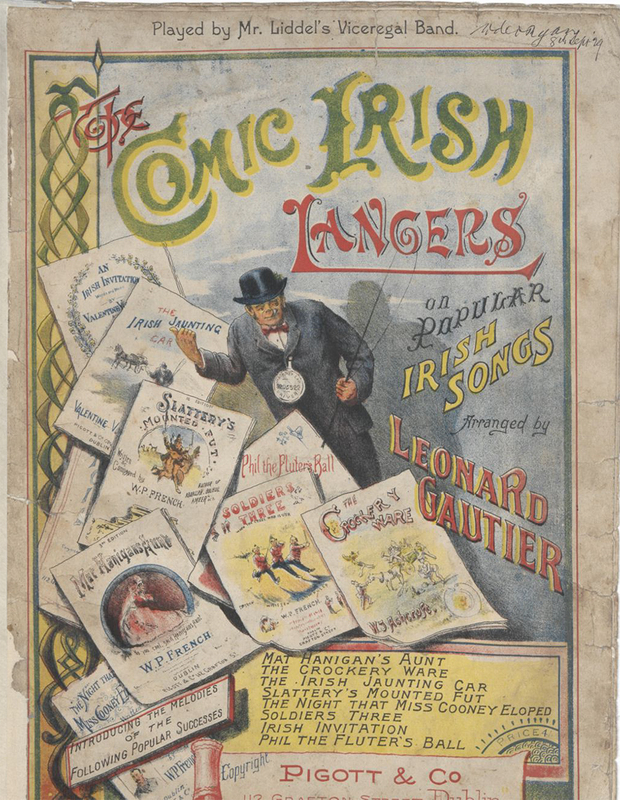 The Hesburgh Library is home to a great collection of maps of Ireland, the collection of the late Mr. Thomas McGrath, which he gave to the Library over twenty years ago. 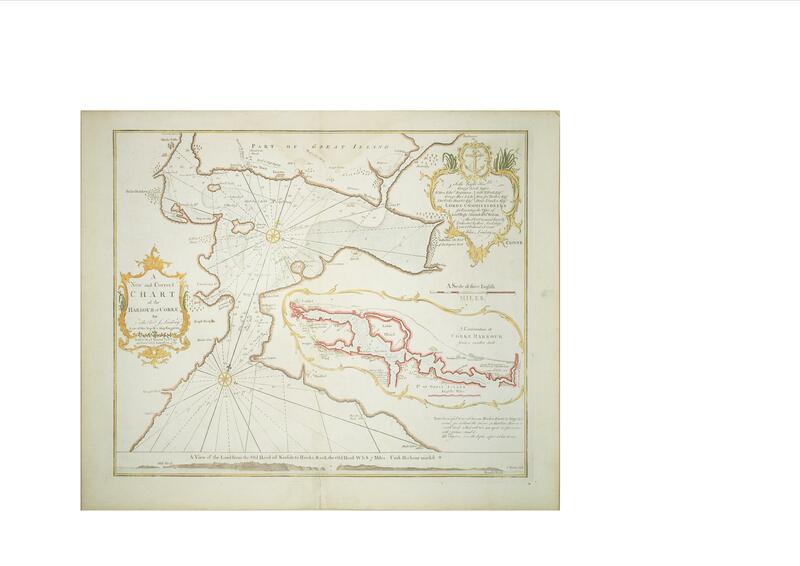 He gave a lecture on the occasion of donating his collection, and the text of his lecture, along with illustrations, is on the Rare Books website: The Joy of the Chase: Collecting old Irish Maps. It would be nice to see the maps used more often for teaching and research, and so we plan to improve the cataloging of these maps over the coming year, and also to investigate digitization. A New and Correct Chart of the Harbour of Corke by the Revd. J. Lindsay, 1759. 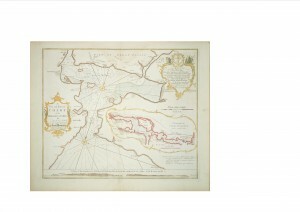 Mr. McGrath’s collection included sea charts, which he gave to the library as a separate collection, named the Butler Collection of Sea Charts in honor of his wife’s family. Scale, Bernard. An Hibernian atlas: or, General description of the kingdom of Ireland divided into provinces with its sub-divisions of counties, baronies, &c. shewing their boundaries, extent, soil, produce, contents, measure, members of Parliament, and number of inhabitants, also the cities, boroughs, villages, mountains, bogs, lakes, rivers and natural curiosities …by Bernard Scale, land surveyor ; and beautifully engraved on 78 copper plates by Messrs. Ellis and Palmer. 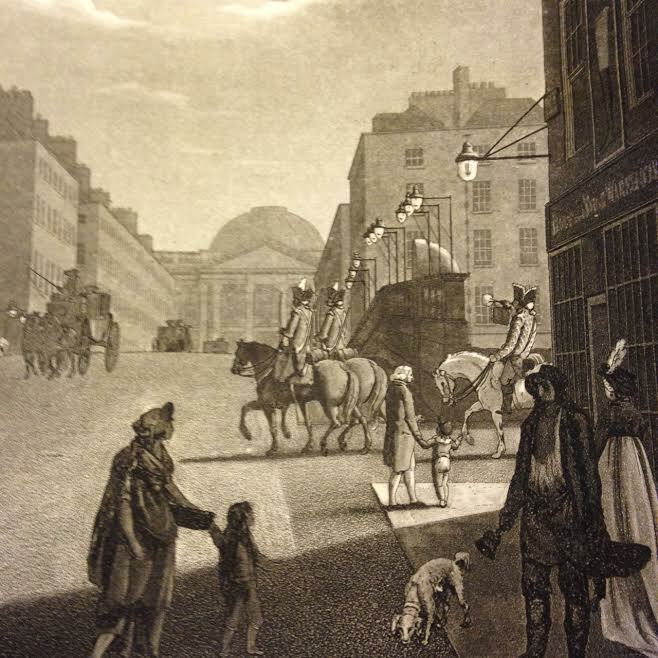 — London : Printed for Robert Sayer…, 1776. The maps form an attractive part of the library collections, and we welcome requests from professors to introduce their classes to the maps, and also suggestions on how to make the maps more useful and accessible for student work. 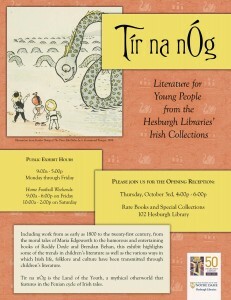 The exhibit of Irish children’s books is now in the Rare Books Room, and will be there until mid-December. A number of classes have already visited and had tours of the exhibit. Artwork by Sara Weber uses Rosamond Praeger’s Further Doings of Three Bold Babes for the poster image and also for background. Researching for this exhibit was helped considerably by the assistance of Rebecca Rossi, who worked as an intern during the summer. Diane Sikorski and Liz Dube provided all the conservation and exhibit-mounting support. We are lucky to have an excellent conservation lab at the Hesburgh Libraries. In addition to the Exhibit Committee at the Department of Rare Books, the Hesburgh Libraries’ new Director of Communications and Marketing, Tara O’Leary, is helping to make our exhibits much more visible to the campus community. 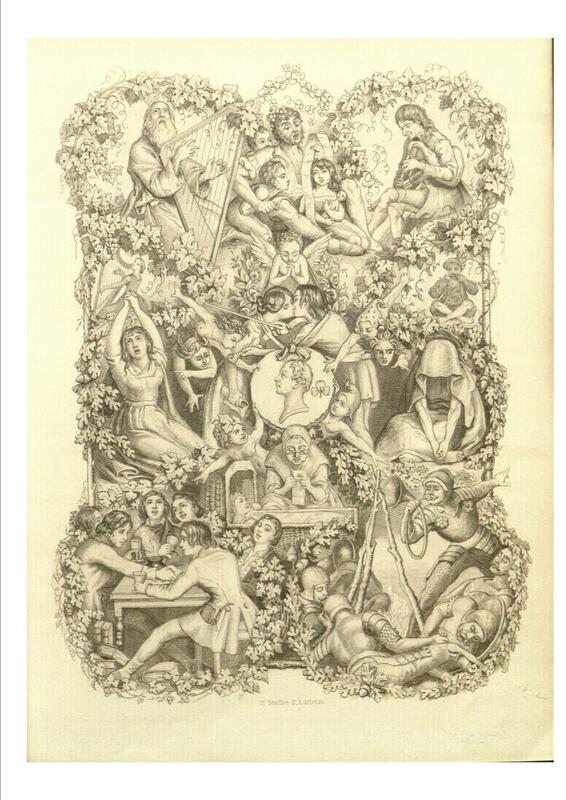 Prompted by a bookseller’s email, I checked to see if we had a first edition of Moore’s Irish Melodies illustrated by Daniel Maclise. Ours is later than the beautiful 1847 edition for sale, but very ornate and interesting. Though the catalog states 1853 for our copy, a glance at other copies on the Internet Archive makes me wonder if it might be an 1858 edition — after Moore’s death. 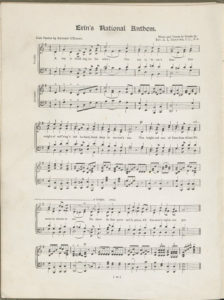 Thomas Moore (1779-1852) published his Melodies between 1808 and 1834. Daniel Maclise (1806-70) is well-known as the painter of ‘The Marriage of Eva and Strongbow’ which hangs in the National Gallery of Ireland. 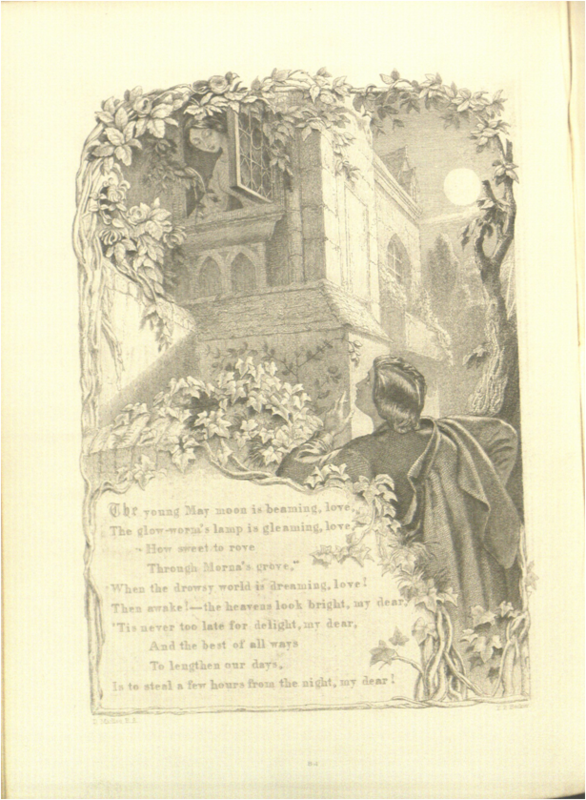 I shall only add, that I deem it most fortunate for this new Edition that the rich, imaginative powers of Mr. Maclise have been employed in its adornment; and that, to complete its national character, an Irish pencil has lent its aid to an irish pen in rendering due honour and homage to our country’s ancient harp.